Who should win the Best Original Score Oscar. The Oscar race for Best Original Score—the category ostensibly dedicated to “a substantial body of music that serves as original dramatic underscoring”—feels a little strange this year. 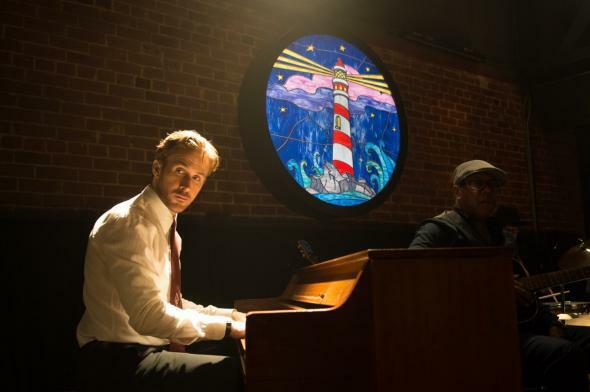 While there are a number of deserving entries among the nominees, nearly every Oscar prognosticator agrees that the prize will be going to La La Land … which is a musical. Musicals are made up of songs with words. Underscoring is largely instrumental with the occasional vocal flourish. So the inclusion of La La Land in the category alongside four proper scores is, while technically legit, a bit vexing. The legitimacy comes from the fact that composer Justin Hurwitz wrote enough connective instrumental cues to qualify as a score, but, as in most musicals, this material riffs on the themes and styles of the songs around it and is essentially indistinguishable from them. Like the overtures and entr’actes that are common on Broadway, Hurwitz’s “score” reads to this listener as filler, not a separate body of work. This somewhat complicates my annual, wholly subjective ranking of the nominees in terms of musical interest and merit—but here goes! One thing recommending the cohort of music this year is, if not bracing originality, then a noticeable effort on the part of the composers to create unique and coherent sonic worlds that feel of a piece with their films. O’Halloran’s work for Lion gets last place in my ranking because, while musically engaging, it feels the most tacked-on. Here listeners will find the formula of moody Glassian piano arpeggios bearing aloft soaring strings that directors been infatuated with since at least The Hours. I can jam to this quasi-minimalist vocab as much as the next guy, but it’s getting tired. To his credit, O’Halloran has turned in a handful of more atmospheric cues (e.g. “Escape the Station”) that give his own creative voice room to breathe. But overall, the music is predictable and often saccharine. I often joke that I was born without the part of the gay genome related to appreciating musicals, so this Hollywood fairytale was never for me. That said, I can recognize and appreciate Hurwitz’s talent for channeling the big band American songbook stuff that defines the genre. His instrumental theme for the lovers—a wistful, wide-eyed little waltz—is catchy, especially in the lightning-bug transformation on “Planetarium.” And his ensemble orchestration skills are uniformly a delight. But in the end, we’re talking about an homage—not a truly original act of composition. This marks Newman’s 14th nomination, and as a longtime stan, I would love for him to finally take the statuette. However, I just can’t give his work on this film the top slot. Newman is as bewitching and whimsical as ever as he paints around the drama aboard the starship Avalon, but we’ve seen many of these brushstrokes before. True to form, his palette is the richest of the bunch, but it’s the same sparkling percussion and raw piano that’s come to define his sound. Aside from some digital effects that signal spaceship, much of this music could be from any number of other Newman projects. There’s even the now-predictable—though still utterly gorgeous—bittersweet hymn (“Spacewalk”) that tends to show up amid his manic gyrations. I quite liked this score—and there’s a lot of it to like—but it’s too safely on-brand to be the best. I was one of the few viewers who found Moonlight very-good-but-not-like-transcendent, and same goes for the music. Britell—who, full disclosure, composed the theme for Slate’s Culture Gabfest—has done wonders with a remarkably small amount of material here—most notably in his simple, gentle theme for the film’s main character, which he subtly develops over the course of the movie’s three age-defined acts. What I found most effective, though, was Britell’s facility in capturing the heat and confusion of desire in his string writing on cues like “The Middle of the World.” Never have arpeggios sounded so irresistibly dangerous. Usually once a season, orchestras will condescend to perform movie scores in a gambit to attract audiences who might not otherwise show up at the concert hall. This can be fun, even if the music comes off a bit thin without its film alongside. I’m not sure if pop-experimentalist-turned-film composer Levi’s truly superb work for Jackie will ever get this treatment, but if it does, it will have no problem holding up. The composer has created a tight, arresting sonic portrait, defined by nauseated, swerving strings and dreamlike, almost drunken rhythms. In keeping with the Kennedys, the music has a forced, WASP-y sunniness—all the halting stumbles and grasps at grace of a Chanel-suited woman trying to hold it together. The harmonic carpet in the White House is fine, but a flute clumsily topples over it. We lose ourselves in a reverie, but a martial snare interrupts to remind us of the office. The melody smiles, but underneath, the strings tremble queasily and a vibraphone jangles our nerves. Levi did justice to Jackie—or at least to Natalie Portman’s Jackie—here, and in the process, delivered the most striking score in the bunch.